Rust-Oleum Chalkboard Paint creates a tough, scratch resistant finish that allows you to create a writeable / wipeable chalkboard surface on a wide range of substrates. This paint is suitable to use both outdoors and indoors. 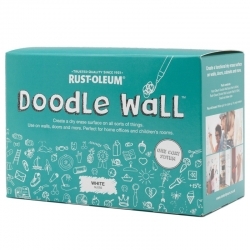 We also stock Magnetic Chalkboard Paint from Rust-Oleum. 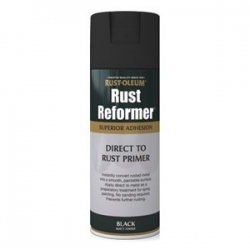 Rust-Oleum is a great brand for both professionals and DIYers. Not only do they have many trade products specifically designed for commercial and larger scale projects, they have also designed a great range of DIY paints and coatings. Their DIY product range is exceptionally suited for smaller jobs in and around the house. Whether it is for the kitchen, garden, home office, kids’ bedroom or hobby & crafts. 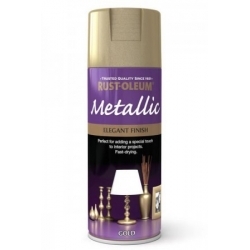 If you are looking to spruce up some furniture pieces, Rust-Oleum have created excellent Furniture Paint with a wide range of finishes and colours. Feel inspired by their great colours, such as duck egg or coral, or by the finishes such as chalky or satin. If you are looking for a vintage, crackled effect, Rust-Oleum have created a special two component Crackle Paint for exactly this purpose. Their Crackle Paint can be used with your choice of matt emulsion. If you are looking to create a writeable and erasable surface for a children’s bedroom or a home office, we stock both Chalkboard Paint as well as Whiteboard Paint from Rust-Oleum. Add their Magnetic Primer and you can create a magnetic, wipeable surface. Children will love being allowed to draw on the walls! If you are looking to breathe new life into your plastic garden furniture or plant pots, Rust-Oleum has you covered. 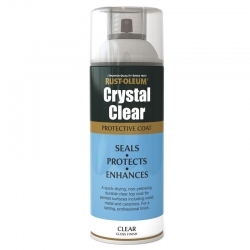 Their Direct to Plastic spray paint rejuvenates plastic surfaces. If you are looking to repaint a plastic garden shed for example, then consider their Universal All-Surface Paint for your project instead. 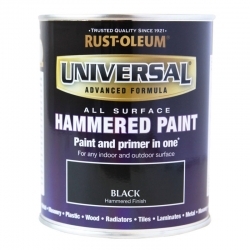 Rust-Oleum also has a range of products suitable for hobby and crafts projects. Looking for a fabric paint that keeps your fabric flexible? Their Flexible Fabric Paint does exactly that and can be used on most fabrics. We also stock their Frosted Glass spray paint to create a translucent frosted effect on transparent surfaces. It is ideal to use on glass doors or windows for home privacy or can be used for glass vases for redecoration projects. They also created Glitter Spray Paint for hobby and crafts purposes, as well as Metallic Spray Paint. Your imagination is the limit! These are just some products from Rust-Oleum’s DIY Range. Should you have any questions about any of the products mentioned or the products below, please give our technical team a call for assistance with your query.